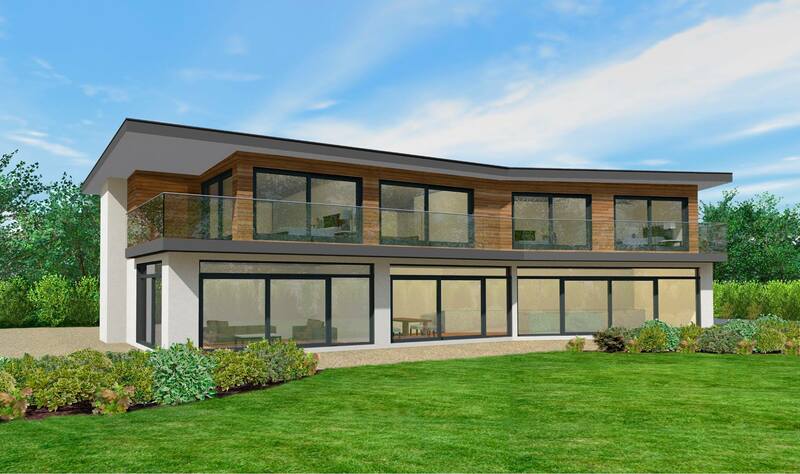 This design maximizes views of the garden with sliding doors stretching the length of the rear elevation, creating an indoor / outdoor feel and flooding the open plan kitchen diner area with light. With two reception rooms, a study, a utility and mudroom, five bedrooms and six bathrooms, there’s plenty of space for contemporary family living in this sleek house. If you would like further information on The Milan design and how we can tailor this build to suit your own plot, please contact our sales office on 01342 838060 or email sales@scandia-hus.co.uk and one of our team will be in contact with you shortly. Alternatively make an appointment to come and see for yourselves our design and build quality by visiting our Show Centre at our offices in Felcourt, West Sussex.